The nominees for the 83rd annual Academy Awards were announced Tuesday with popular stars like Natalie Portman, Christian Bale, and James Franco all receiving recognition for their work on the big screen. While much of the focus of Hollywood’s biggest night typically falls on such high-profile actors and actresses, room is also made for the contributions that musicians make to the movies. 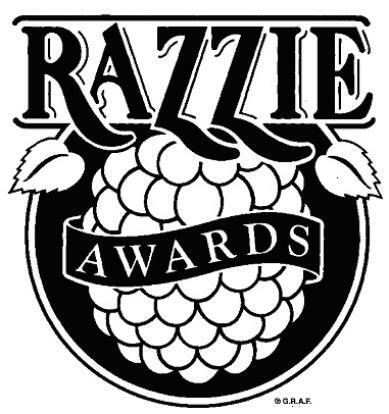 However, residing on the flip side of all this hoopla are the Razzies (aka the Golden Rasberries). Now entering their 31st running, these so-called awards are given to lucky winners in recognition of the year’s worst contributions to film, and are handed out at a “deliberately low-end and tacky” show the night before the Oscars. Strangely, while featuring most of the same categories as the Academy Awards, and even a few of their own invention (“Worst Reckless Disregard for Human Life and Public Property,” “Worst Excuse for an Actual Movie (All Concept/No Content! ),” “Worst Eye-Gouging Mis-Use of 3-D,” etc. ), for the past nine years the Razzie’s have not featured an award for worst music or song. Why is this? Oddly, no one seems to know. According to a recent article on MTV.com, such awards were given out at the Razzies from 1980-1999 but no longer. Apart from a one-off appearance in 2002 (take that Britney Spears! ), the categories seem to have been simply discontinued, which begs the question, why? It is not like there is a shortage of bad movie music out there. Does anyone remember 2007, when songs from Disney’s live-action fairy tale “Enchanted” scored three of the five nominations for Best Original Song? Or how about 2008 when Bruce Springsteen was snubbed for his ballad “The Wrestler”? Sure, the winner that year was “Jai Ho” from eventual Best Picture winner “Slumdog Millionaire,” but The Boss couldn’t even get a nomination? Somewhere in New Jersey grown men are crying. As many longtime viewers of the Academy Awards and Grammys can attest, voting boards rarely get it right when choosing entertainment-based winners. That is why more than ever an institution like the Razzies is needed to weigh in on what/ who shouldn’t win, especially when the choice comes to music. I mean, who else is there for such a job? MTV? Interestingly, the same year he was snubbed at the Oscars, Springsteen was actually nominated at MTV’s movie awards for his song mentioned above. However, in perhaps a crueler twist of fate than that inflicted upon him by the Academy, he lost…to Miley Cyrus. Yep, you read that right. If you need me, I’ll be at the Stone Pony drowning my sorrows. Don’t miss the Oscars live on ABC, Feb. 27 at 8 p.m., and see who took home a Razzie the night before by checking out www.razzies.com. Do you know who the Clutch Dogs are? What about the group Hellakill? Can you name the bassist for Riot Band? 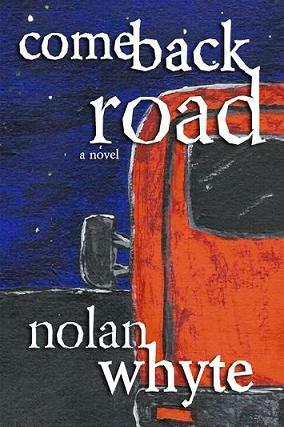 If you are able to answer any of these questions, then you must know Nolan Whyte. As a part-time writer for the popular website Ultimate-Guitar.com, Whyte has spent the last couple of years crafting several series worth of hard rock fiction for music nerds and novice guitarists alike. Published chapter by chapter on a semi-weekly basis, each tale has largely revolved around the struggles of a different band and its members’ hopes and dreams for eventual success, or at the very least freedom from having to get a day job. While each successive story has found a small but appreciative audience online, Whyte unexpectedly announced Tuesday that he would be ending his latest work (“Riot Band Blues”) nine chapters early and that he personally would be taking a hiatus of sorts by stepping away from writing about music for the foreseeable future. “I feel it’s best at this time to bring things to a quiet close. There is always the danger of becoming complacent and trying to just ‘shift product’ for the sake of it, and I don’t want to sell the story’s very loyal fans short by presenting uninspired material. Despite such an optimistic sign-off, I for one feel more than a twinge of disappointment at the loss of what has become one my favorite Friday morning rituals. Open-ending aside, sympathizing with Whyte’s motley collection of protagonists over my daily cup of coffee was a highly rewarding experience as well as being infinitely relatable. However, as a fellow writer I can also understand his concerns about just going through the motions in order to reach some self-imposed quota. Still, perhaps more surprising to me than Whyte’s exit has been reading his other fans’ reactions to the news. Instead of spouting out vulgar phrases and demeaning the author’s choice, which as any regular visitor to Ultimate-Guitar can tell you are almost required practices, the regulars on the site have shown almost nothing but respect and love. Inexplicably, in words typically reserved for eulogies to Dimebag Darrell or Randy Rhoads, many head-bangers have even shown actual soft sides for the work of a man who catered almost exclusively to their little community. See for yourself by following the link here. As a music writer, it is often hard enough to ignore the behemoth that is Fox’s American Idol. Now entering its 10th season, the popular reality show has had an incalculable impact on the popular music landscape and given careers to such stars as Kelly Clarkson, Carrie Underwood, and David Cook. However, pushing aside the program’s media blitzkrieg is a task made even more difficult when the show’s impact extends all the way to one’s backyard. While watching the season premiere last night, many fans in the Pioneer Valley got a special treat when it was shown that area resident Ashley Sullivan not only competed on the program but actually earned a coveted ticket to Hollywood. Though it is still too early to tell how Sullivan may fare in the latter portions of the competition, she was at least able to break the show’s mold of predictability and likely earned many new fans in the process. Her love of Britney Spears notwithstanding, Western Massachusetts may have its newest representative to shake things up musically on a national scale. Meanwhile in other news, if you are a member of a local band that is playing at SXSW in Austin, TX this year. We’d be interested in talking to you. Please e-mail tsturm@valleyadvocate.com for more information. Mahalo.